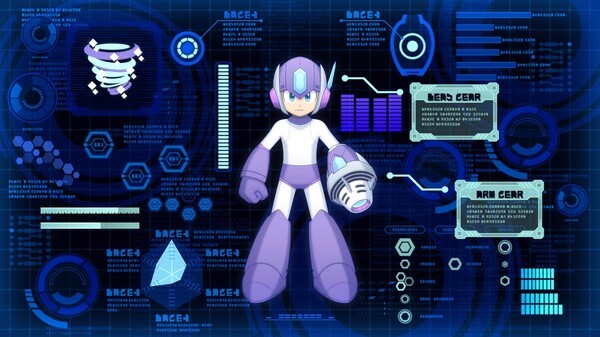 Capcom Unity has been posting profiles for each new Robot Master reveal, on the road to Mega Man 11‘s release date. This time around the spotlight is on Tundra Man, an eccentric ice skating robot who looks like he spends a lot of money. Indeed, Tundra Man’s stage is a frozen museum, which is full of slippery platforms, spikes, unique enemies and even some animals. Before he turned into a bad guy, Tundra Man was an environmental survey robot, tasked with tracking environmental shifts in the coldest locations on the planet. It’s a lonely gig, however, and Tundra Man would eventually become inspired after listless TV watching led him to a passion for ice skating. Now, after taking over a musem with his ice-based abilities, Tundra Man hopes to show his talents to the world in dramatic fashion. Capcom unity advises you to align your playstyle with the level’s museum theme by taking things slow, making sure to pay attention to your spiky surroundings. After all, any Mega Man veteran will know that sliding across an icy platform probably means you’ll run into some one-hit kill spikes. You’ll also want to watch out for the stage’s mid-boss, a robot elephant skeleton that’s probably really upset on an existential level. Once you take Tundra Man down, Mega Man will get equipped with the Tundra Storm weapon, which creates a freezing tornado around the little robot, attacking anything directly above or below. Using the Power Gear with the Tundra Storm will cause that tornado to take up the entire screen. Mega Man 11 comes out on October 2, 2018, for the PlayStation 4, the Xbox One, the Nintendo Switch, and the PC.